Find a vacation home to rent in Halden Municipality from our list of vacation rental properties. 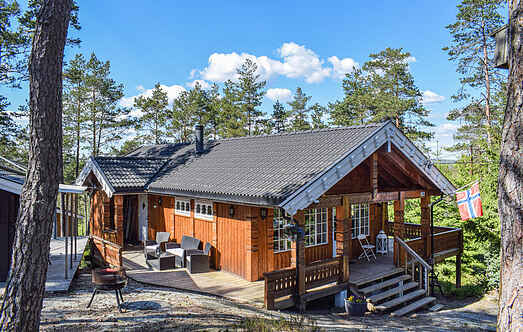 Campaya has over 3 vacation homes available in Halden Municipality, which give you the possibility to locate a unique accommodation in Halden Municipality which completes your check-list in search for the perfect self catering vacation apartments in Halden Municipality or vacation villas in Halden Municipality. Incredibly charming and nice cottage in beautiful and calm surroundings. Here you can enjoy peace and quiet on the terrace only with the sound of the birds singing. 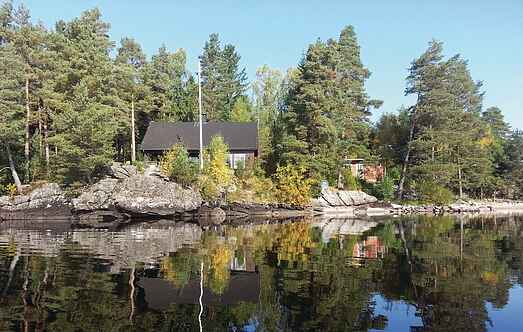 House in a wonderful and undisturbed location on a little peninsula which sticks out into beautiful Femsjen lake. Why not spend a memorable and relaxing self-catering holiday in this lovely holiday home. This is a simple, well-maintained cabin situated amidst nature.